← Is that quiet I hear? but a bit of spring in my step! Saturday …. 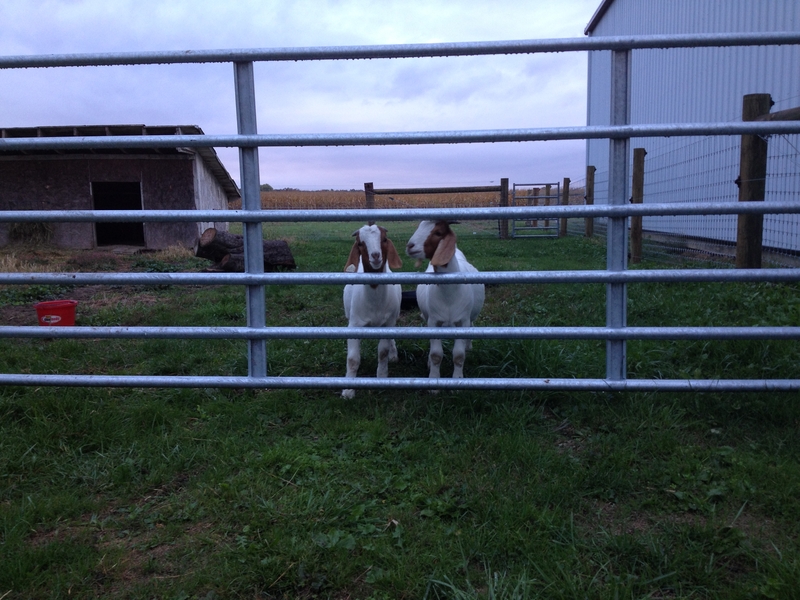 we are bringing home two, bred, Boer goat does! These two, sweet, funny guys were purchased as a an experiment. I have a lot to learn about goats. Do I even like goats? Would I want to try raising my own? But that’s okay. I’m a willing student. There won’t be kids until late-winter, though. However – Abigail is due to calve in November! This entry was posted in Country Living, Work/Career and tagged Boer goats, Country life, Polled Hereford. Bookmark the permalink. I thought you already HAD two goats. Are you getting two more? Beautiful marigolds. Yes, we will add two more. The two we have are castrated males. The marigolds were late-plantings … and I’m so glad to have fresh, vibrant blooms! Your flowers look great! Can’t wait to see the new faces! I planted those marigold seeds late … and I’m so glad I did! They’ve been a burst of fresh color. 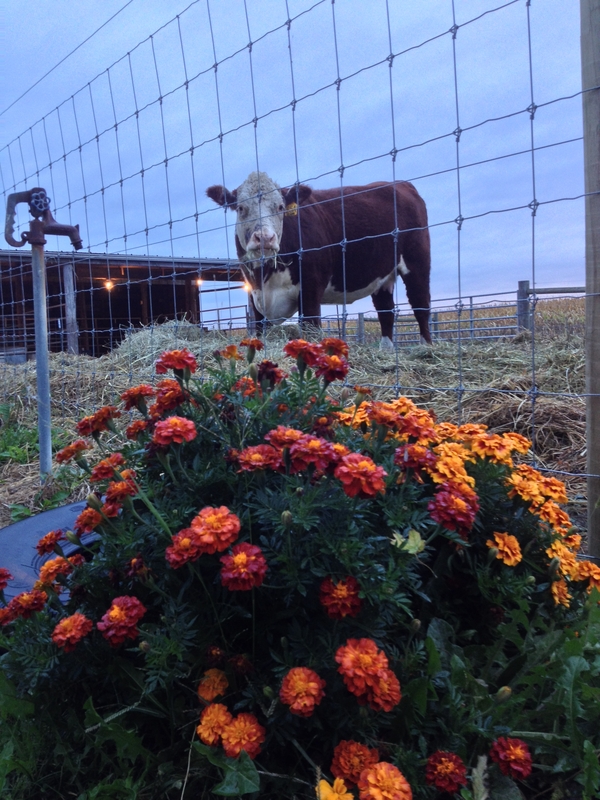 The marigolds look so pretty (as does Abigail) Are your plans just for breeding or will you be milking? I love goats milk! These are meat goats, not dairy. We would like to build our herd from the two we buy … so we will hope for girl kids!